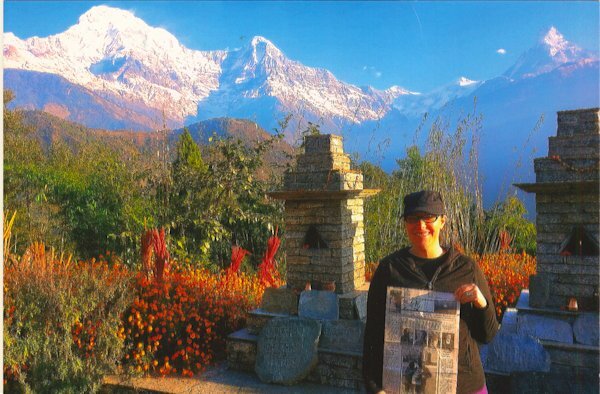 Katie Gordon and friend, Arnie, from Petaluma, CA took "The Quill" along to Nepal. Picture is of the Annapurma Mountain Range taken in December 2013. Katie is the granddaughter of Betty (Crabill) Gordon, Dunnigan, CA and a great granddaughter of the late Atlee and Irene Crabill, La Harpe.